As the guy who made that one Lord of the Rings comic years ago and did that one LP of Lord of the Rings Online, and as someone who has professed to have read Fellowship more times than I care to recount, I've gotten something of a reputation as a Tolkien expert. The truth is I'm pretty much a lightweight among the serious Tolkien fans. I'm nowhere near a Tolkien scholar and I'm not even a huge fan of The Silmarillion. But I still think The Lord of the Rings stands near the top of the list of the most important works of fiction in the 20th century. It's a masterfully crafted work and its cultural influence is difficult to measure due to its enormity. 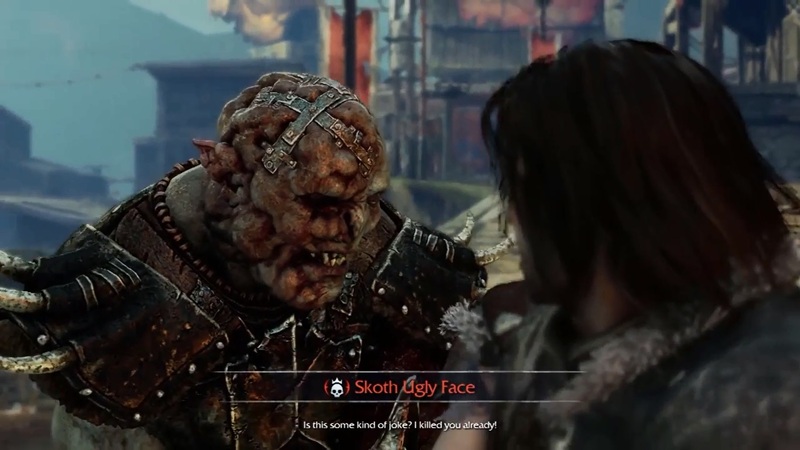 Tolkien spin-offs have become an industry in their own right, and as someone standing at the intersection of games and Tolkien fandom a lot of people are wondering what I think of Shadow of Mordor. When a book or movie is adapted to video games, we often get hung up on the small details of lore and whether or not the writers get it "right". And that's fine, up to a point. It's nice when the writers take the time to get all the little details just so. It feels good to see that thing from the book or movie, fully realized in a game world that meshes with our prior experience or imagination. But when you're adapting a work of fiction, getting the lore right isn't nearly as important as matching the original in tone, themes, and aesthetic texture. Imagine a Batman game where they butcher all the lore: Alfred is Batman's uncle, Gordon is the mayor instead of the commissioner, and it takes place in Chicago instead of Gotham. That would be really annoying. But it would be far less offensive to me than a Batman property that gets all the lore details right, but re-imagines Batman as a vigilante who goes around shooting criminals and torturing them for information. This is how Shadow of Mordor feels to me. It's a Lord of the Rings game in name and lore only, because the tone and themes are jarringly wrong. But these things are the skeleton of Middle-earth, not its soul. They failed to grasp anything resembling the heart of the elements that give the world its identity. First let's start with the small stuff: The dialog is all wrong. Gone is the artful and varied speech of the various peoples of Middle-Earth. In the books, each group of people had their own take on English. Hobbits were simple and folksy. Dwarves were brusque and direct. Wizards and elves were almost Shakespearean in their flowery speech. Humans were varied, going from the quasi-cockney style of Bill Ferny to the nearly-Elven patterns used by kings. 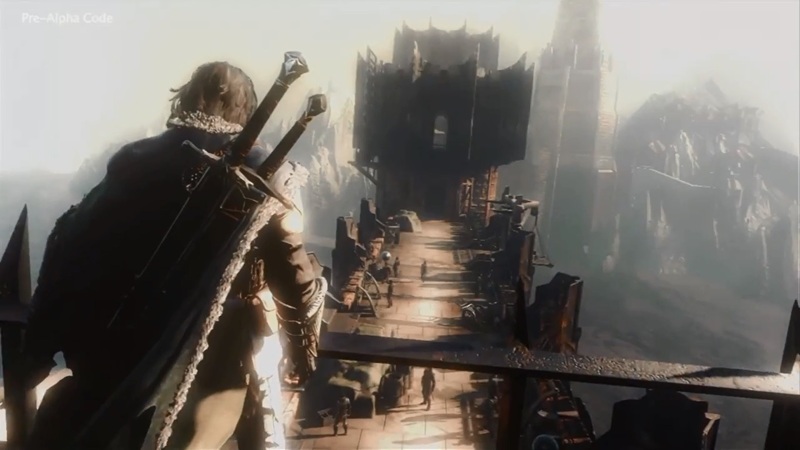 In Shadow of Mordor, all of that is lost. People talk in generic "movie medieval", and the lines are bristling with cringeworthy anachronisms. One Orc (an Orc!) even says, "Visualize your goals," to the player, which I guess is supposed to be funny. But making jokes at the expense of the setting is something you do in a parody (like my web comic) and not something you should do in a story that's trying so hard to be taken seriously.